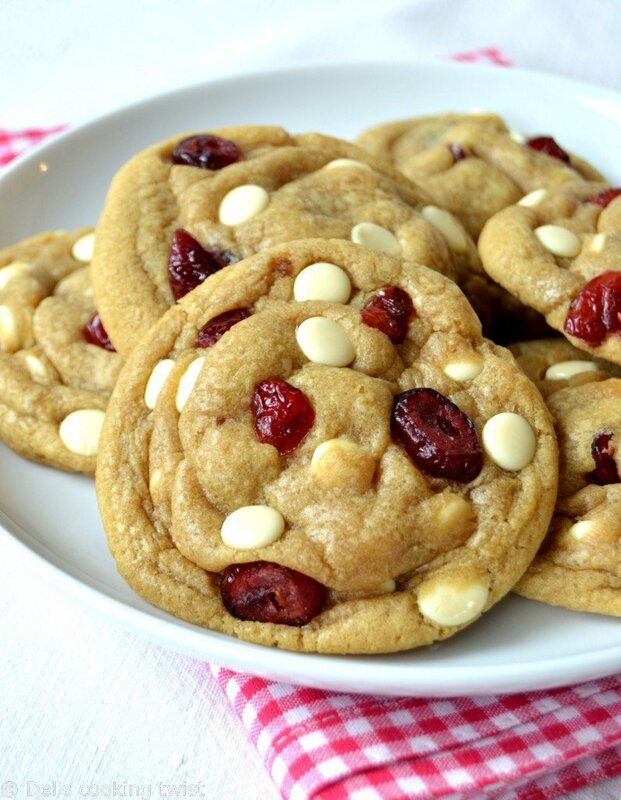 Best Ever White Chocolate Cranberry Cookies. Soft, sweet and chewy, with a delicious taste of brown sugar. I have been meaning to bake some white chocolate and cranberry cookies for quite a while now, but for some reason I always go for another cookie recipe instead. When I woke up the other day, the morning was a bit chilly and the vibrant leaves swirled in the air. There was no doubt that fall was settling in for good. I knew straight away it was the day I would finally these fellow cookies a try. When I look back, I don’t understand why I have been waiting for so long. 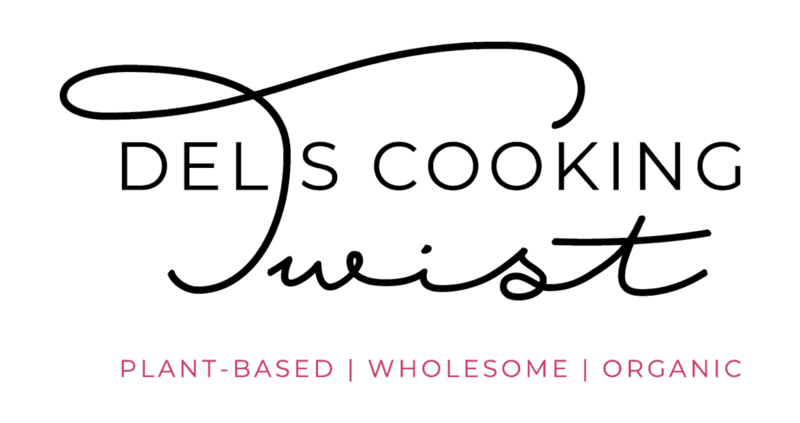 I think this recipe must be – may be – the very BEST cookie recipe I ever made, I am so proud of the result! Look at these colorful beauties in red and white. Aren’t they tempting? They have the perfect texture, the one you always dreamt of. Both thick and chewy, with a delicate taste of light brown sugar, there is absolutely nothing wrong with it. 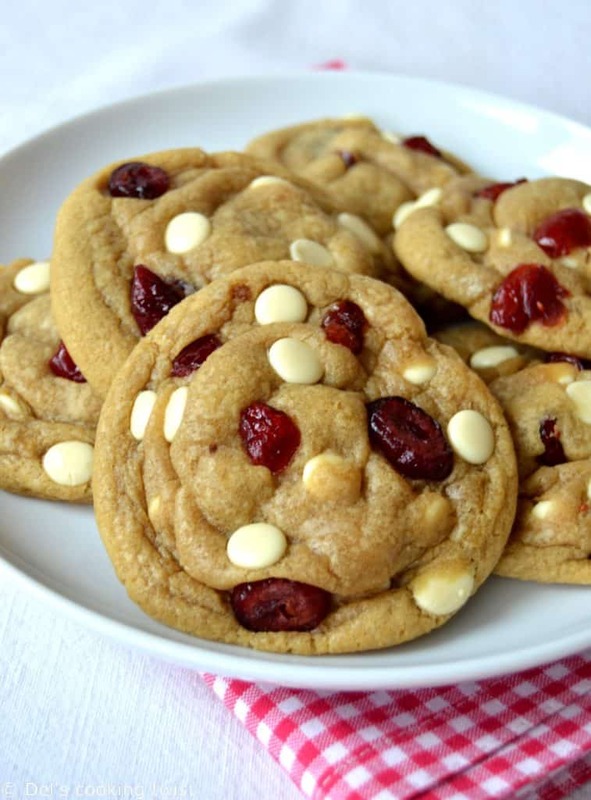 The cranberries balance the sweetness brought by the white chocolate chips and it’s pure pleasure. I guarantee there will amaze your taste buds! For the record, I have heard that some of you don’t believe in a cookie recipe that uses toppings other than chocolate chips, my boyfriend David is one of them. Then believe it or not, he absolutely loved the cookies, ate 5 in a row with a huge glass of milk and asked for some more (while I was almost crying because these were the last 5 cookies in the batch!! But I was so happy to hear him making these noisy yummy sounds). I think his behavior in front of these small wonders says it all! In a large bowl, whisk together the flour, cornstarch, baking soda and salt. 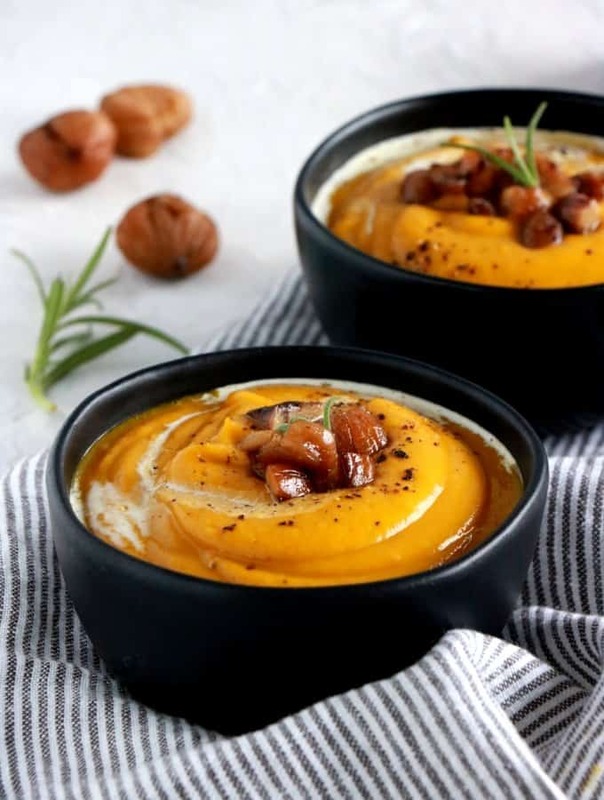 Melt the butter in a small pan or in the microwave and pour it into a medium-sized bowl. Add in the brown sugar and granulated sugar and whisk vigorosly until no sugar lumps remain. Whisk the egg and the yolk, then the vanilla extract. Pour the wet ingredients into the dry ones and mix together with a spatula. 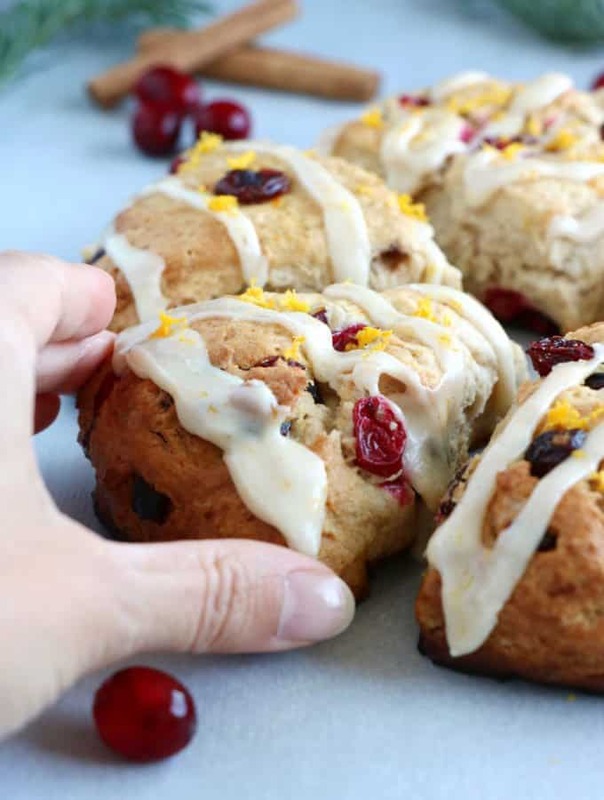 Fold in the cranberries and the white chocolate chips. Cover the dough and chill in the refrigerator for 2 hours minimum. Take the dough out and allow to soften at room temperature for 10-15 minutes before using it. Preheat the oven to 325°F (160°C) and line two large cookie sheets with parchment paper. Roll the dough into balls so that balls are taller than wide and place approximately 8 balls on each parchment paper, leaving enough space in between each of them. * Tip: Do not worry if they look a bit underbaked at first and allow them to cool on the sheet for 10 minutes before moving to a wire rack. These are calling my name! 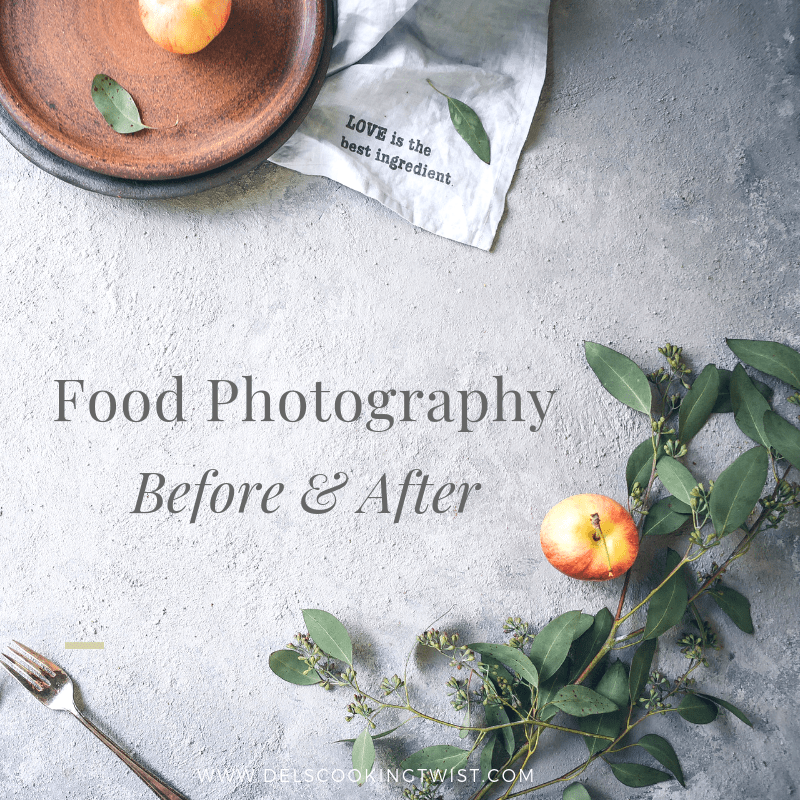 They look so delicious and I love your photography too. Thanks for sharing! These sure do sound addicting, Del! What a delicious combination for a cookie 🙂 Thanks for finally getting around to making them! Your recipe sounds delicious. I’m always baking cookies and the boys are always looking for this type of cookie. Can’t wait to try it. Pinned/shared. White Chocolate and Cranberries are my favorite combination ever. I can not wait to try these cookies, pinning them now. We would love for you to join us at Party in Your PJs. I am sure our party guest will love them too. This is my favorite combo too. There is nothing wrong with these cookies, they are just amazing! 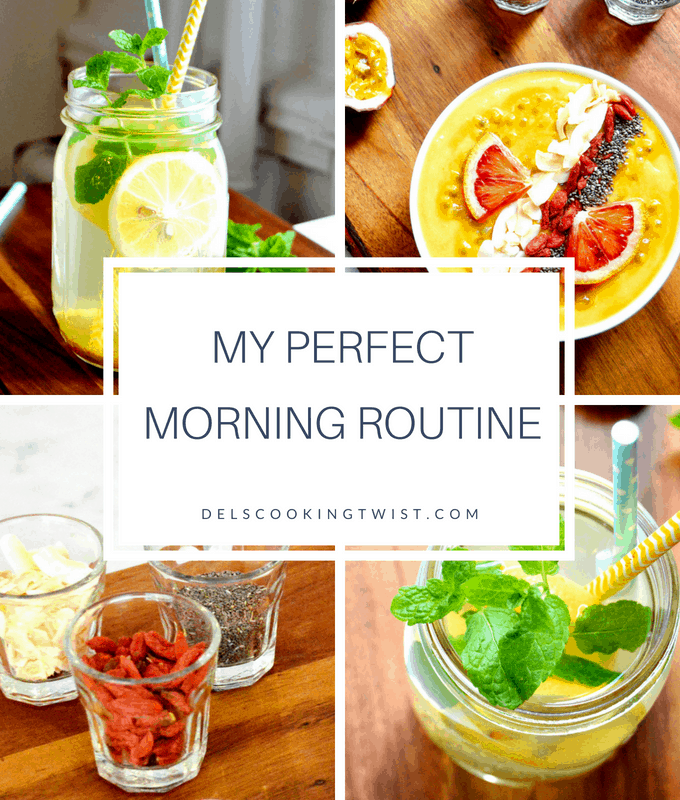 Thank you for inviting me to your PJs party, I just shared my recipe over there :) Have a lovely day, Kim! ça y est ! 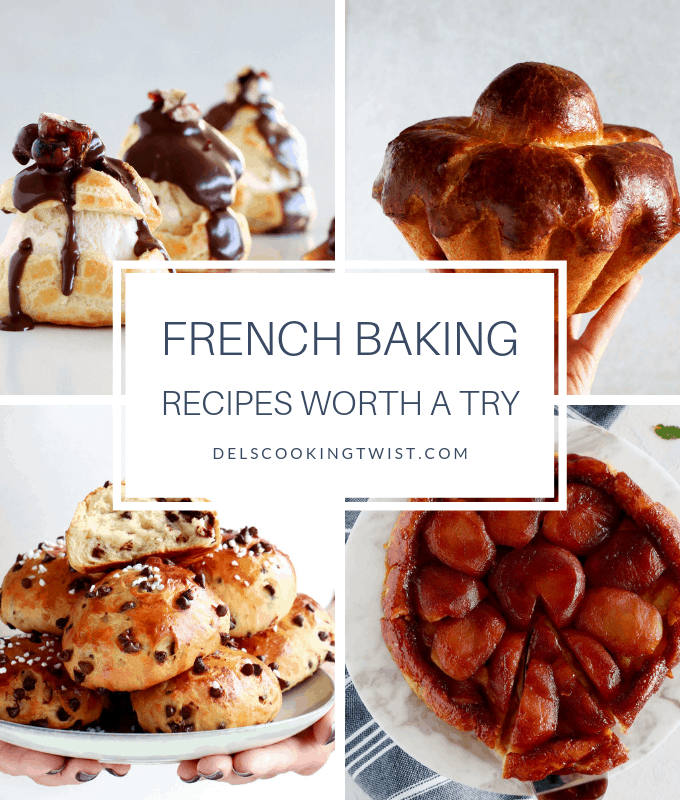 avec ta petite histoire, tu as réussi à me convaincre de faire des cookies au chocolat blanc (je fais des cookies aux canneberges mais pas au chocolat blanc car je trouve ça trop écoeurant), je m’en vais donc tester ta recette d’ici quelques jours ! These are DRIED cranberries you’re using, right? Yes, indeed, these are dried cranberries. Hi Katherina and thank you very much :) I haven't added them to the Christmas Cookie Swap, hope it's not to late! There’s something so striking and festive about cranberry and white chocolate. I can’t wait to make them, they’re stunning. Thank you so much, Janette! I'm with you: white chocolate and cranberry are the perfect combo in these lovely soft cookies. No doubt you will love them! 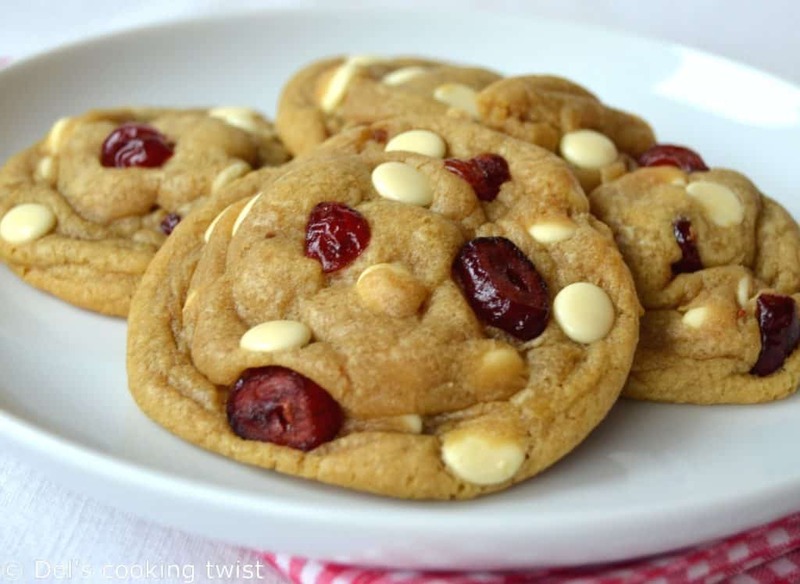 I love the white chocolate and cranberry combination for your cookies. 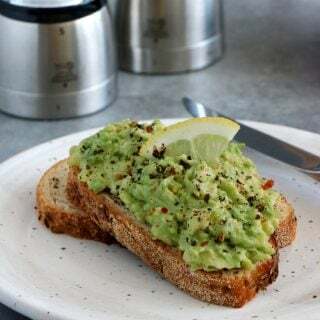 Hope you are having a great day and thanks so much for sharing this awesome post with Full Plate Thursday. These are absolutely gorgeous.I cant wait to make these.I have been looking for a outstanding Christmas cookie to bake for the Bistro.I think I just found it. Thanks, Jodie! 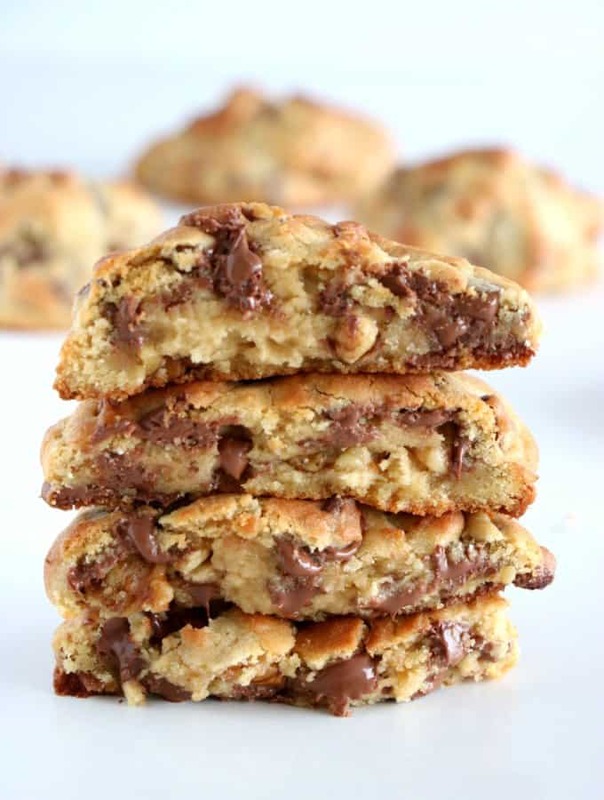 Tese cookies are extremely versatile and would be perfect as Christmas cookies. Enjoy! 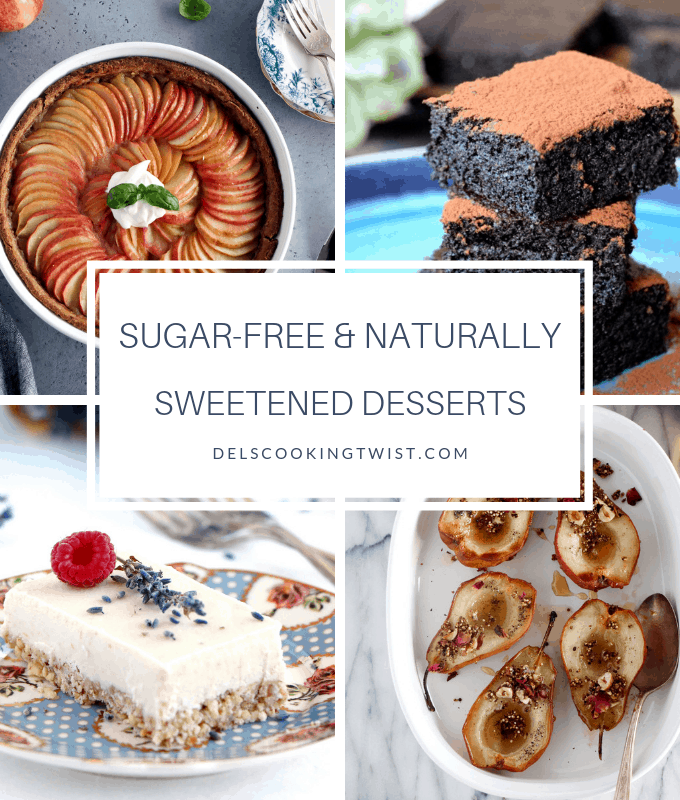 These look so yummy and I love the different twist! Thank you for linking up at The Wednesday Round Up and we hope to see you back next week! These look so good! I always have Craisins on hand and I just bought some white chocolate chips – perfect timing. Thanks – pinning! I can’t wait to bake these cookies. Thank you for sharing at The Southern Special and please join us again Tuesday beginning at 7:00am. They actually are yummy! :) I'll be there again this week, thanks for hosting this lovely party! humm, ils sont parfaits. Testés et approuvés par tous à la maison, merci ! Have you tried freezing these? Do you think they would freeze ok for a month or so? Super et à chaque fois on change le chocolat ( blanc, noir, lait) ou on mixe. Ma fille devient la reine du cookies! Anybody had tried this recipe without white chocolate chips. Anything else that goes with cranberries? Sure! It would work with milk or semi-sweet chocolate chips too. Merry Christmas to you!